I’ll admit, if you would have asked me a year ago if I’d be writing a blog post called 222 Gratitude Journal Prompts for Living a Life of Gratitude, I would have definitely thought you were joking. Most of my life, I had a very shameful relationship with gratitude, which is actually very common in our culture. We are taught that when we feel upset or any sort of so-called negative emotion, that we “should” cheer up because we have so much to be grateful for. And, even worse, in spiritual circles, it’s like practicing gratitude has become a way to earn brownie points with the Universe. Somewhere along the way, we lost the essence of what gratitude is really about. I never resonated with the idea that gratitude was a bargaining chip or that I should “cover up” my actual feelings with gratitude. I’ve always understood, at least on some level, that all of our emotions have wisdom. And that integrating that wisdom is how we live true to our deepest heartfelt and Divinely given desires. I also understand now, that almost every time “should” is present, that tribal shame is lurking. Ironically, a lot of the cultural conversation around gratitude is that it brings you closer to the Divine. But, shame is only present when we feel separate from our source, so, it doesn’t even make logical sense that shaming ourselves into gratitude would help us to know the love that is Divine. All that to say since my thoughts about practicing gratitude were stemming from shame (and therefore fueling more shame), I never found a deliberate practice of gratitude to be helpful. “Trying to” feel gratitude seemed to just make me angrier and more resentful. And then, earlier this year (2018), I had a huge epiphany about the energetic essence of gratitude. At the time, I was starting to notice more “natural” flows of gratitude in my life. Meaning, I wasn’t manipulating myself into feeling something I wasn’t. Instead, my feelings of thankfulness and gratitude were springing up from a place of celebrating what was. For example, I went through a bit of a dark night of the soul and by working through it (mentally, emotionally, and spiritually), I felt more empowered than ever. I was starting to take the idea of self-responsibility to a whole new level and could really see everything was happening FOR ME instead of TO ME. I began to feel a deep sense of gratitude for the “dark night of the soul” experiences and was allowing myself to actually FEEL those feelings. I wasn’t “trying to” feel grateful. I genuinely felt grateful and thankful and in awe of how life (and alchemy!) works. And my eyes cracked WIDE OPEN. I started to realize that gratitude isn’t a bargaining chip with the Divine. Gratitude is a natural response to fully RECEIVING the gifts of life. Gratitude and thankfulness are key components of the final phases of alchemy. Gratitude is how we integrate and prepare ourselves for the next iteration of our soul. On a more “practical” level, I realized that “trying to” feel gratitude doesn’t hold a candle to actually feeling grateful. I was feeling gratitude for gratitude’s sake vs seeking approval and worthiness. And, that my friends, is a whole other ball game. Since then, I’ve begun to embody a sense of celebration, gratitude, and thankfulness in my everyday life and it is completely free from any sense of obligation, guilt or shame. It is springing up from my desire to fully receive the gifts of life so that I can continue to grow and expand into my Divine nature. Then, when you want to explore your natural sense of gratitude, use these gratitude journal prompts. My intention is that they will help you to feel gratitude for gratitude’s sake (aka so YOU get the pleasure of FEELING it) and to help you integrate the gifts of your life. When you answer the questions, allow yourself to explore your answers in your imagination and FEEL the feelings so you can really receive and integrate them. Think about a time when you felt really safe and secure. What was happening? Take a moment to visualize the coziest part of your home. What do you love most about it? In what ways does money serve your needs, desires, and life? When do you feel the most abundant? Think of a time when you really appreciated how careful someone was with something you hold dear. What did you appreciate most? What makes you feel calm? Think of a time when you were really brave. What do you most appreciate about that experience? Who can you really depend on? Think of your most loyal friends. What do you love most about them? What (or who) do you trust most? When do you feel most supported in life? Think of a time when you were really vulnerable and it increased intimacy with someone else. What was the best part of that experience? What was the most perfect moment of your life? When you are feeling unsafe, what comforts you the most? Who is the most down to earth person you know? What do you love about them? Think of someone who is really optimistic. Other than their optimism, what do you appreciate about them? What decisions are easy for you to make? Where is the most peaceful place on earth? When are you the most comfortable? Think of a time when you really stepped outside of your comfort zone. What do you appreciate about that time and how you showed up? Take a moment to recall a time when you were very thorough and got an awesome result. What other qualities did you bring to the table? When you are feeling scared, what reminds you that it’s going to be OK? What makes you feel prepared? What eases anxiety for you? If you were to start feeling insecure, who would you turn to for help? What do you love about them? What was the most joyful experience of your childhood? When has life exceeded your greatest expectations? Think of someone who is completely open to life. What do you love most about them? Think of something that you came to accept overtime. What has that acceptance shown you? What do you love most about your community? Who is the most compassionate person you know? What else do you love about them? When do you feel most connected to your loved ones? When do you feel most connected to the Divine (God, Universe, Source, Oneness, etc.)? Think back on a time when things felt fair. What did you appreciate about that time? What do you love about feeling empathy? What gives you faith in a higher power (whatever that is to you)? What is your favorite part of being in a relationship? Think of a time when you really offered kindness to someone. What did that moment teach you? Who is the most loving person you know? What else do you love about them? What is the most thoughtful gift you’ve ever received? What does unconditional love mean to you? When do you feel unconditionally loved? When do you feel understood? What does vulnerability mean to you? What do you love about it? Which desires light you up the most? Who is the friendliest person you know? What else do you love about them? What is your greatest communication skill? What do you appreciate about the internet? What makes you feel needed? Who would you call if you were feeling lonely? Who are your closest friends? What do you love about them? Have you ever felt misunderstood? In what ways did those experiences help you to understand yourself? 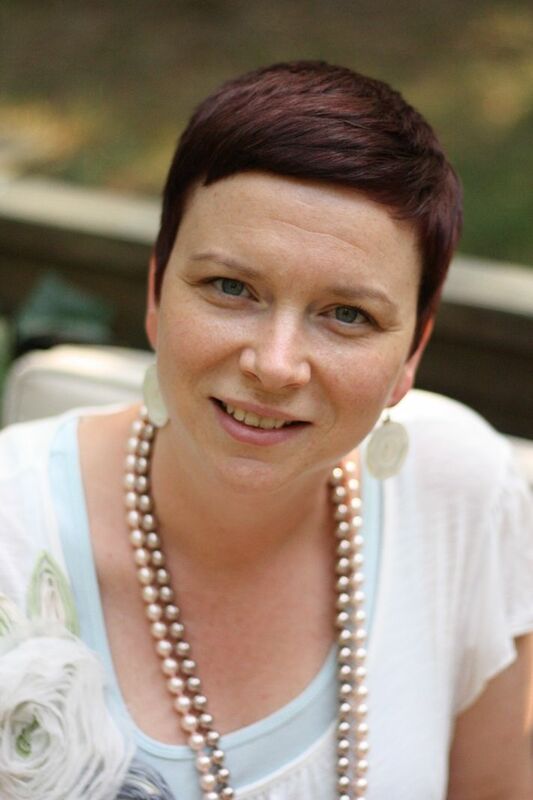 What has grief shown you about love? What is your favorite thing to do when you feel sad? Where do you feel like you belong? What is your love language? Who is someone who really “get” your love language? What has feeling hatred shown you about yourself? Take a moment to appreciate the ways in which you take care of yourself emotionally. Take a moment to appreciate the ways in which you take care of yourself mentally. Take a moment to appreciate the ways in which you take care of yourself spiritually. Take a moment to appreciate the ways in which you take care of yourself physically. Take a moment to appreciate the ways in which you take care of yourself energetically. Think of a time when you were really practical and it really paid off. What refreshes you in the summertime? What ways do you feel supported by others? When was the last time you felt deep well-being? What was happening? Think of someone who is incredibly resourceful. What do you appreciate about them? What is your favorite grocery store? What do you love about it? What is your favorite appetizer? What does it taste like? What is your favorite soup? What does it taste like? What is your favorite salad? What does it taste like? What is your favorite main dish? What does it taste like? What is your favorite dessert? What does it taste like? What is your favorite snack? What does it taste like? Who irritates you? What do you LOVE about them? On a hot summer day, what quenches your thirst? Think of the last time you had a craving for something. What did that craving show you about what you want from life? What is the most relaxed you ever felt? Think of someone who is really motivated. What do you like about them? What “good” habits have you been able to sustain long term? Why do you think that is? Where is your favorite place to buy clothes? Think about a time when you went out to eat and had amazing service. What did you like most about that experience? What helps you most when you are feeling cranky? When was the last time you were completely clear-headed? What made you feel that way? What is contentment? When do you feel it most? Think of something in your life that is very efficient. How does that thing serve your life? What is the most elegant thing you can think of? Describe in great detail. When do you feel peace of mind? Conjure the most serene image possible in your mind. What do you see? Think of a time when things were simple but not easy. What did that time teach you? When do you get the best sleep? What structures and systems support your life? Do you drink coffee? What is your favorite kind? Who is the most self-aware person you know? What have they taught you about life? What do you love about your getting ready routine? What exhausts you? What does that tell you about what you want in life? What brings you back to your center when you feel frazzled? Think of a time when you felt weary. What did that time teach you about yourself? When do you feel worn out in a “good” way? Who is someone that you’ve resented? What have they shown you about yourself? When do you feel a sense of harmony? Think of a time when you were really assertive. How did your assertiveness pay off? What is the boldest piece of clothing in your wardrobe? What do you love about it? What is the best choice you’ve ever made? What brings out your creativity? Where has discipline served you well? Think of a time when you felt like you were expressing yourself well. What were you doing? What does freedom mean to you? When do you feel free? What is the most fulfilling thing about life? What makes you an original? What can you rely on yourself to do? Who is the most unique person you know? What else do you like about them? Think of a time when you were really determined. How did your determination pay off? What are you driven to do in your life? What makes that awesome? When do you feel most purposeful? Which boundaries are you so thankful that you set and honored? What makes you really angry? What has that anger taught you about what you need and what you value? When do you feel the most loved as a kid? What were you most rebellious about as a teenager? How has that time impacted your life in positive ways? Who is the most authentic person you know? What do you love about them? What makes you feel aligned with your dreams and intentions? Think of a time in life that really challenged you. What did that time teach you about your strength? What is your most important value? Who shares that value with you and what do you love most about them? What does it mean to be whole? When do you feel whole? What is music speaks to your soul? Are you a truth-seeker? How do you know when you’ve stumbled on the Truth? Who is the most sincere person you know? What else do you love about them? Think of a time when you felt really disillusioned. What did that time teach you about yourself? What are you most cynical about? How does it serve you in positive ways? What has guilt taught you about the power of forgiveness? 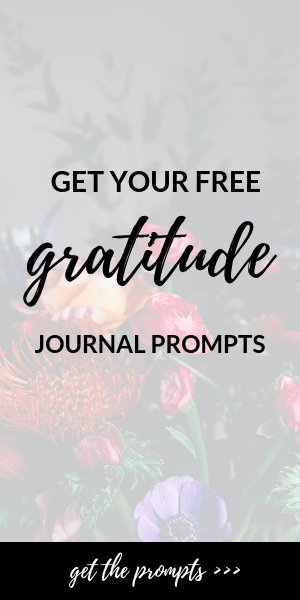 Which if these gratitude journal prompts have made you feel the most “natural” gratitude so far? When was the last time you felt touched? What was it about that experience that was so touching? What are you a cheerleader for? Who can you trust when you feel discouraged? Who has been your greatest critic? What have they taught you about life? What has been your great achievement? When do you feel the most challenged? What is that challenge showing you about the emotional or spiritual wounds that need to be healed? What event served as a catalyst for your greatest life lesson? What is the most important thing you’ve learned in life? Think of someone who is very strategic. What do you like most about them? What is something in your life that you’ve recently improved on? Who is the most open-minded person you know? What have they taught you? Look out one of the windows wherever you are. What is beautiful about what you see? Think of a time when you felt really curious. What did you learn by exploring your curiosity? Where are you excited to travel? Why? Think of a time when you were thrilled. What was happening? Who are you jealous of? What is your jealousy showing you about what you really desire? How has your anxiety served you? Who is the most mature person you know? What do you like about them? Think of a time when you were really pessimistic but things actually turned out well. What happened? What connects you to your spirit? When have you felt stagnant in life? What got things moving forward again? What does it mean to thrive? When have you thrived? Who is the most humble person you know? What do you like most about them? What does success mean to you? When have you felt most successful? Think about a time when you were really late for something important. How was your arrival perfect timing? What is the most useful thing in your house? Think about a recent misunderstanding in one of your relationships. How did that misunderstanding help you to grow as a person? Take a moment to look around wherever you are. What is wonderful about it? Think of a time when you felt really clingy. What did that teach you about how you take care of yourself? Who do you respect? Why? What brings out your sense of adventure? When were you really spontaneous? What was amazing about your experience? What is the most fun you’ve ever had? Think about your favorite furniture store. What delights you about it? Think of a time when you laughed so hard you cried. What was happening? Who is someone you like to tease? What makes teasing them fun? Who is the funniest person you know? What makes them funny? What do you do when you’re feeling moody? When was the last time you felt lighthearted? What has been your greatest spiritual gift? Think of someone who is a good team player. What do you like about them? What is the legacy you are leaving behind? Who is the most cold-hearted person you know? What have they taught you about love? Do you ever feel too sensitive? How has your sensitivity paid off? When was the last time you were really generous? What did you love about the experience? Who is the most considerate person you know? What do you like about them? Who is the most insightful person you know? What have you learned from them? What is the most interesting thing you’ve learned about yourself from answering these questions? Think of a time when you got really great customer service. What did you find most helpful? Who do you feel the most connected to? Alive or dead, who would you LOVE to have dinner with? Why? Think of a time when you worked really hard on something that failed. What did you learn from that experience? What brings about your most natural sense of gratitude? Now that is a lot of gratitude journal prompts. As I said before, these gratitude journal prompts are not intended to be bargaining chips with the universe. My hope is that they have helped you tap into a genuine sense of gratitude that really FEELS good to you. Gratitude for gratitude’s sake because that is how you receive the gifts of life!